Congratulations on your big day! Weddings are fun, exciting events worthy of celebration. After all, you are consummating your love and eternal commitment with your partner, and that’s nothing shy of a big deal. However, people who have been married will tell you time and time again that the day seems to pass by in a total blur. Between catching up with various family members, entertaining guests and cutting the cake, it seems like there’s hardly any time to sit back, relax, and soak in the euphoria of the moment with your new life partner. Creating Lasting Wedding Memories With Drone Wedding Photography! Naturally, you’ll want to capture these precious moments on your wedding day in Pasadena, San Fernando or Santa Monica with the utmost clarity and precision. Wouldn’t it be incredible to view your wedding from up above, from a vantage point that other wedding photographers and videographers just can’t provide? With our drone wedding photography and drone wedding video services thanks to Jonathan The Drone Guy, you’ll have a special memory reel that will last a lifetime! Questions? Contact us here. Conventional wedding photographers and videographers are limited to a horizontal plane, meaning that they must get up close to get near wedding guests in order to get good footage. With the power of aerial wedding photography made possible by carefully piloting a drone up above your wedding, Jonathan The Drone Guy can capture the entire event — including all guests in attendance — in one sweeping shot! This above-the-crowd vantage point truly sets our wedding photography services apart from the competition in Southern California. It’s Your Wedding — We Cover It Your Way! 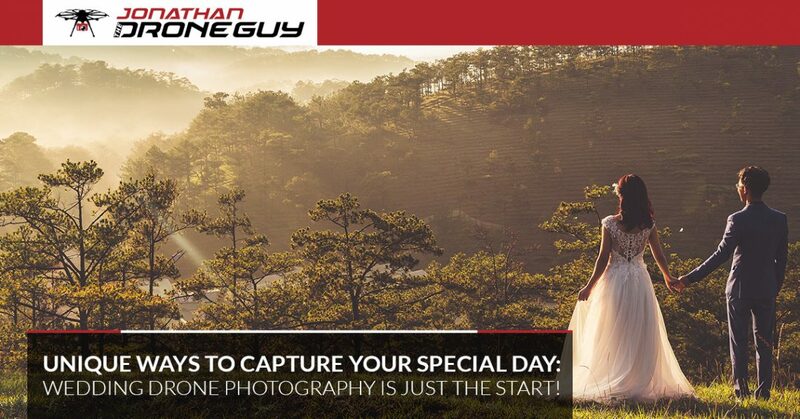 By getting to know the bride, groom and wedding party beforehand, Jonathan The Drone Guy gets a thorough understanding of exactly what you’re looking for out of your wedding coverage. Different couples and their families call for different wedding photography and videography services, and so our variety of drone wedding videography and photography services are entirely customizable. From the wedding venue down to the needs of the bride and groom — no doubt, the most important part of a wedding — we’re not done until we fully understand your expectations prior to the big day. While Jonathan The Drone Guy is a fully-licensed and insured drone pilot, fully capable of safely covering an indoor wedding, outdoor weddings are where drone wedding video coverage truly shines. Thinking about mixing it up and having your wedding on the water or on a historic, timeless piece of property? Drones are the best way to capture your special venue and the people that make it special. Get Started With Our Drone Wedding Photography Services In Los Angeles Today! 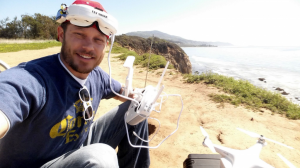 Whether you’re in Pasadena, San Fernando, Santa Monica or anywhere else in the greater Los Angeles area, Jonathan The Drone Guy would love to help make your big event even more memorable. For the perfect wedding coverage that you and your partner can hold dear for a lifetime, consider aerial wedding photography. Contact Jonathan The Drone Guy today to get started!